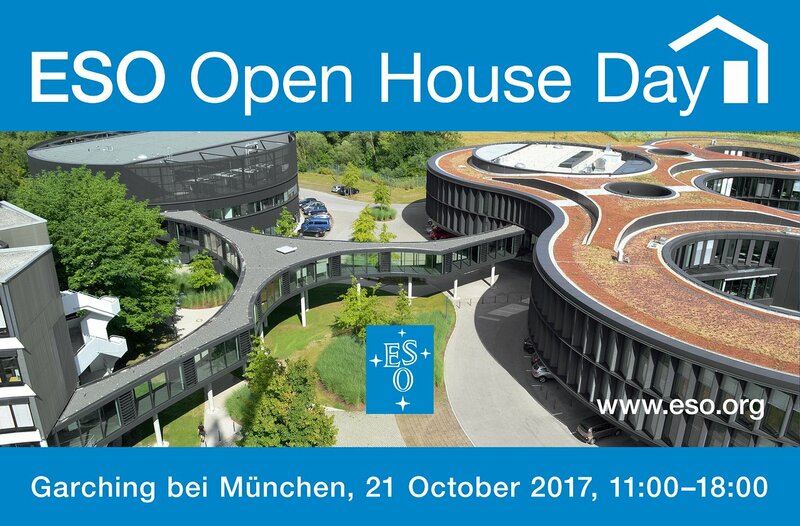 On Saturday 21 October 2017 the European Southern Observatory (ESO) will open its doors to the public between 11:00 and 18:00 CEST at its headquarters in Garching bei München, Germany. This event is one of the Open House Day activities taking place across the whole Garching research campus, when several other institutes will also open their doors to the public. ESO can be found at location number 39 on this map of the campus. There is no need to book a visit in advance. You can simply show up at the activities you are interested in. ESO has a cafeteria where light refreshments will be available. Media representatives who wish to attend the event are kindly asked to confirm their participation by contacting osandu@partner.eso.org. Information on how to travel to ESO’s Headquarters in Garching can be found here.